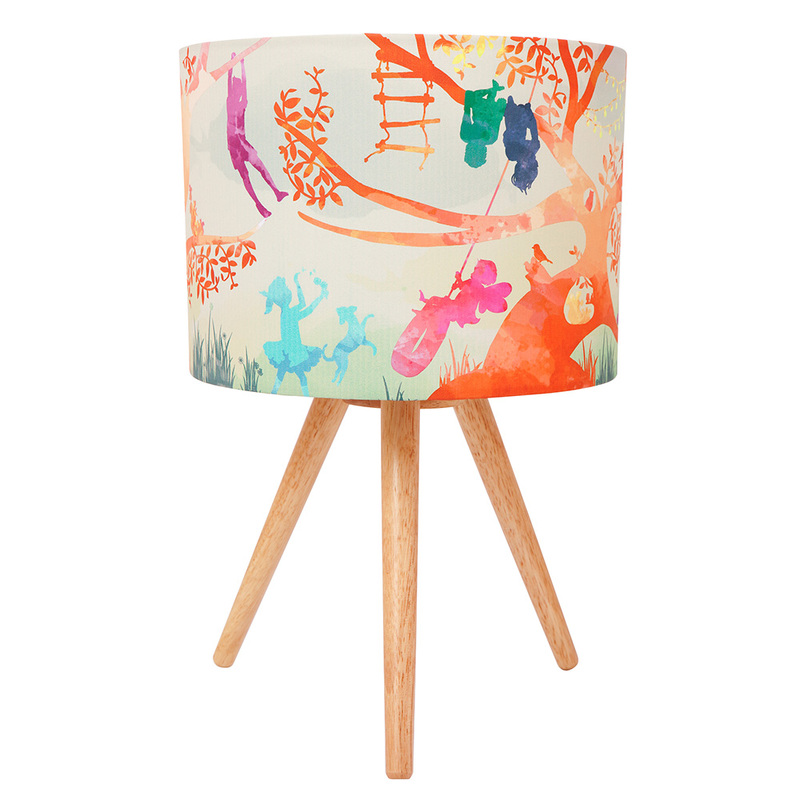 Another wonderful, playful design from our collection - which will delight children and adults alike! Capturing a multitude of details, this whimsical scene has been painted in watercolour and printed onto the fabric shade. 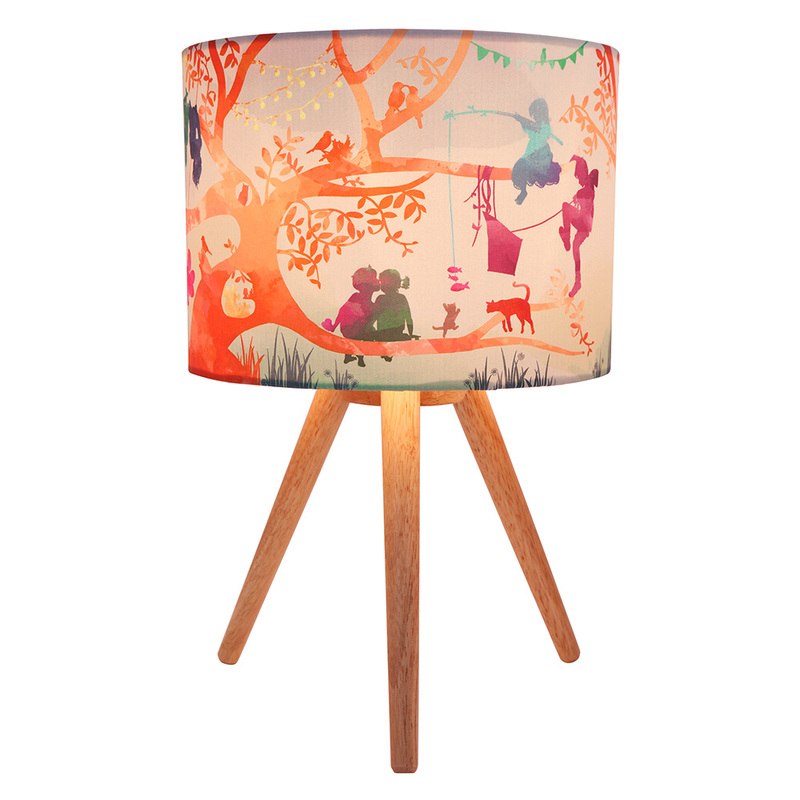 The Treehouse Colour Fabric Table Lamp also features a new style timber base with lovely slender scandi-style legs. 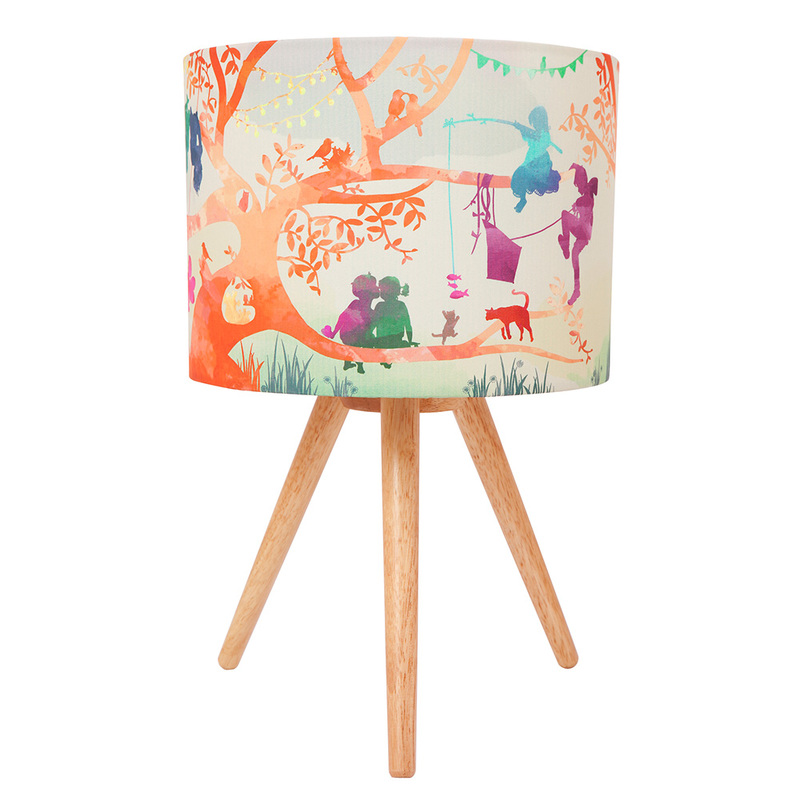 * Treehouse Colour Fabric Table Lamp ships as a large parcel and does not qualify for FREE SHIPPING offers.